Creative Warriors is a community of "uncommon" entrepreneurs and innovative business owners. Those that have created products and services that need a different way of doing business, marketing, and reaching their ideal customers in order to succeed and stand out in a noisy world. 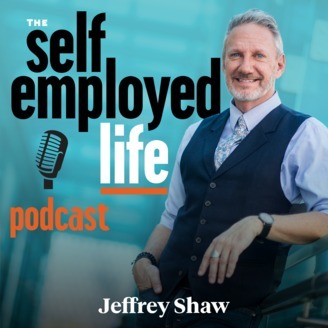 Business coach and author of LINGO: Discover Your Ideal Customers Secret Language and Make Your Business Irresistible, host Jeffrey Shaw, interviews leading authors and inspiring entrepreneurs, who will change your way of thinking and provide practical ideas that you can apply directly in your life and business. 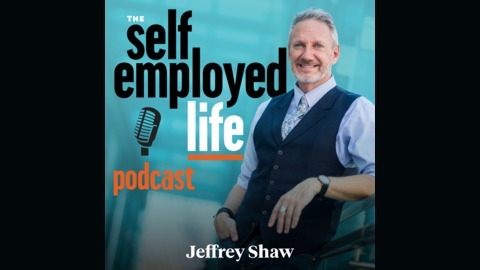 Two episodes each week- one content rich interview with a thought-leader and the Talking Stick episodes are casual conversation starters designed to be relatable for the everyday entrepreneur. A lot of times we set intentions, but we don’t get the results we want. This is because we are out of alignment. We have a vision, but we don’t actually believe our goals could come true. Manifestation is a powerful tool, but you have to align your thoughts, feelings, and beliefs in order for it to work. Manifestation isn’t just “woo-woo” new-age thinking. It has been proven to be effective. We simply cannot recognize what we don’t already know. How could you identify something that is the color blue if you’ve never been told what blue is? You have to have your eyes open to what you want to see. To dive deeper into the idea of manifesting, I’ve brought on author and CEO Raana Zia. Raana is the author of the book Your Hidden Light: A Personal Guide to Creating Your Desired Life which has become a part of a business school course on Happiness at Suffolk University in Boston. She is the founder of Your Hidden Light LLC, training people, teams, and businesses on how to efficiently and effectively achieve their goals by first creating it within themselves. Even logical thinkers can latch onto this idea. To learn how to align your thoughts, feelings, and beliefs, download this episode now. Set an intention and let it go. These three pieces have to be aligned: thoughts, feelings, and beliefs. If you don’t have a belief yet, you can create one. Incorrect thinking is negative thoughts about yourself or other people. Correct thinking is thinking that is purposeful, positive, and directed by you. Sixth Sense: gut instinct; there is an energetic force that wants to support you.